As Rudolph C. Ryser observes at Fourth World Eye, the call for environmental sanity that works for people and the planet — coinciding with the UN World Conference on Indigenous Peoples — is a chance for leaders from indigenous nations to press for the protection of Mother Earth. Indeed, the indigenous Aymara leader and President of Bolivia, Evo Morales, is responsible for making the world conference possible. The People’s Agreement — adopted at the World People’s Conference on Climate Change and the Rights of Mother Earth that took place in Cochabamba, Bolivia in April 2010 — is the only realistic basis for seriously reducing fossil fuel dependency. While modern societies can hardly abandon fossil fuels altogether without suffering social collapse, there are ways of achieving effective solutions. None of which are being promoted by 350, Avaaz and other agent saboteurs of imperial civil society. After failing to sabotage the Cochabamba accord, 350 has subsequently been busy hijacking activism on behalf of Wall Street. 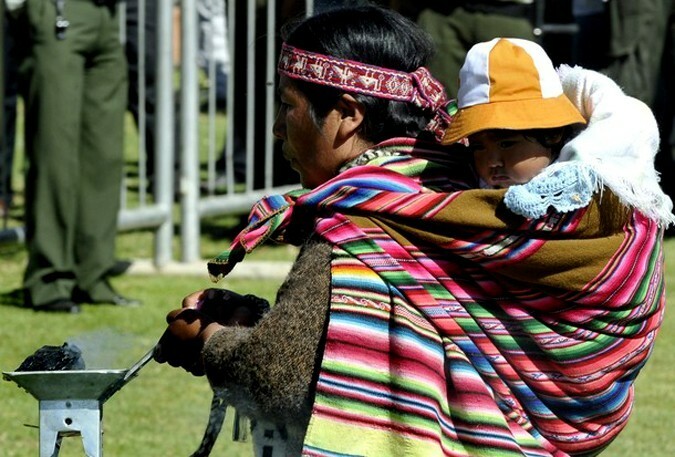 If anything lasting is to be accomplished on climate change, it will come from re-igniting the People’s Agreement from Cochabamba, led by indigenous governing authorities–not by falling prey to the Charms of Naomi.